You'll like this if: You like mermaids, Alyson Noel's Evermore and stories about the Southern elite. If you've been to a bookstore within the past few weeks chances are you've seen this book. 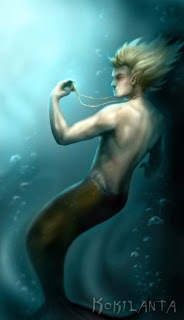 Personally, I've always had a secret love for mermaids. It probably has something to do with having watched The Little Mermaid one too many times as a child, but nevertheless the obsession holds strong. Sadly, it is hard to find good mermaid novels that enamor more than they do disappoint. Thankfully, that is not the case with Aimee Friedman's Sea Change. In fact, far from it. Sea Change is a carefully crafted, beautifully whimsical retelling of the classic mermaid tale. This story is not so much The Little Mermaid as it is a tale about legacy and love. Ms. Friedman's new spin of a tired subject is wonderfully refreshing. It's not only nice to see gender roles reversed, but also strong, level-headed female characters. - The Language. It's pretty common knowledge that I'm a word nerd. There's nothing I like better than when a writer uses that perfect word to describe a place, thing or person. Ms. Friedman has total control over her word choices. It's a beautiful thing, I assure you. - I love the main character, Miranda. I love that she vintage shops. I love that she's level headed. I love that she lives in New York. I adore her. - Gender reversal. 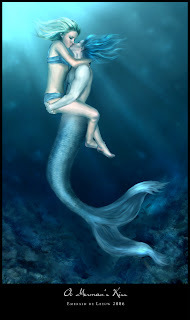 I love that Miranda is the "human," whilst Leo is the merman. It's a nice little twist....and it works! - Although CeeCee can be a bit much, I kind of like her. She's sweet in an incredibly over-the-top way. - The weak relationship between Miranda and her brother and father. If you're going to include siblings and another parental figure into the story at least give them more play. Both of these characters felt as if they were after thoughts rather than actual important characters. Truthfully, Sea Change is the best mermaid novel I've read in a good long time. Although there are a few things that annoy me, all of these are inconsequential when the novel is reviewed as a whole. Really looking forward to reading more from Ms. Friedman. As for Sea Change, it is romantic, smart, genuine and truly makes you want to take the plunge! If you love mermaids, you should try Mermaid by Carolyn Turgeon. It's among the greatest mermaid stories ever written, in my opinion, besides the original story by Hans Christian Andersen. Also, loved Sea Change, hoping for a sequel.